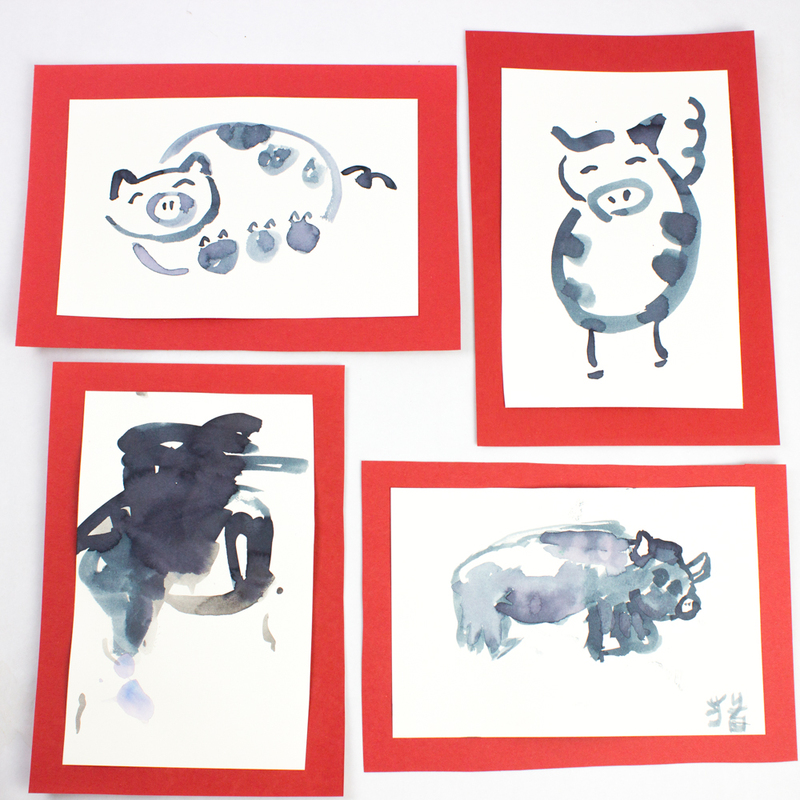 Let's Paint Watercolor Pigs for Chinese New Year with kids! 1. We searched online for images of painted watercolor pigs. Note: The pig designs were definitely not our own. 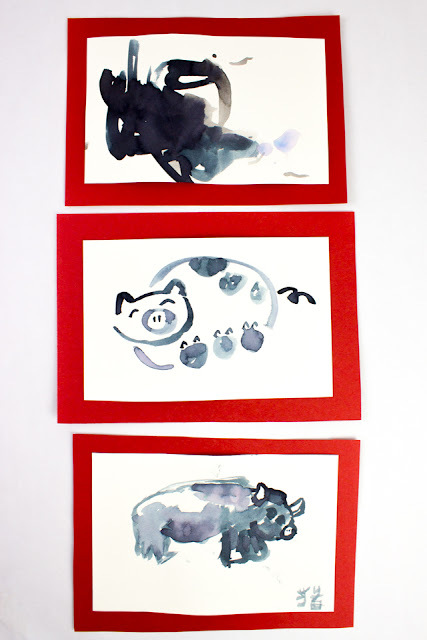 We tried our hand at copying this cute watercolor piggy from Zenbrush, this cute mama pig and babies from Zenbrush, and this lovely pig from here. I particularly liked Zenbrush's art because the lines were easier to copy. But I also liked the 3rd pig because of all the gorgeous shades of black. 2. We used the black from these liquid watercolors and cheapo kids watercolor paper from Michaels to paint because that's what we had on hand. Note: As you can see, our results were definitely not as dark and brilliant as Zenbrush's! I suspect that Zenbrush used Sumi Ink and Asian watercolor papers to get that lovely result. 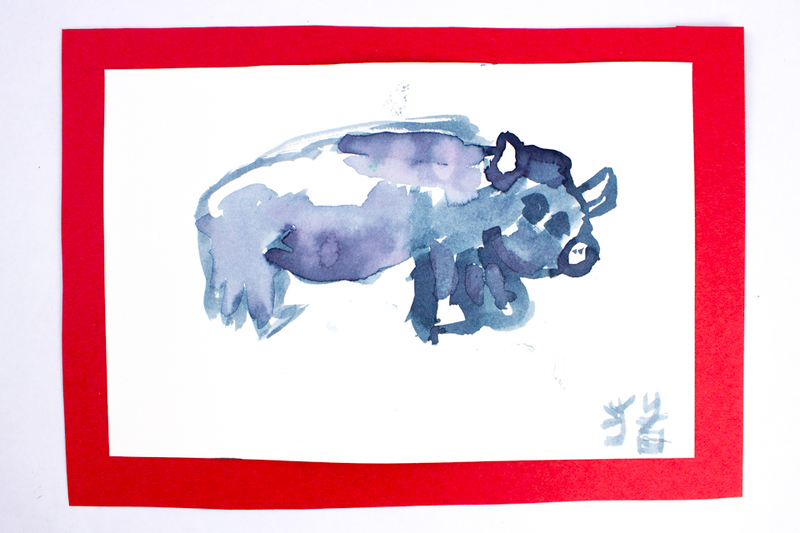 I had some Sumi ink on hand that my older son played around with, but I didn't want my preschooler getting into it. 3. Once everything dried, I just taped our art to red construction paper to make it look a bit more polished. 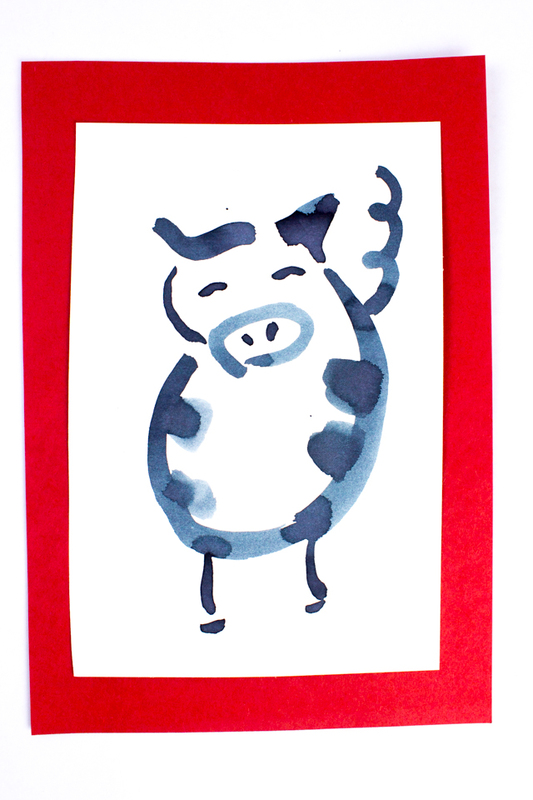 Happy Lunar New Year and happy making, friends!